Manchester United are hoping to receive a triple injury boost for their trip to Chelsea with Jesse Lingard, Luke Shaw and Nemanja Matic all being assessed ahead of the game, according to the Evening Standard. Lingard has been forced to miss United’s last three matches against West Ham, Valencia and Newcastle United since aggravating a niggling groin problem during the Carabao Cup defeat to Derby County late last month. 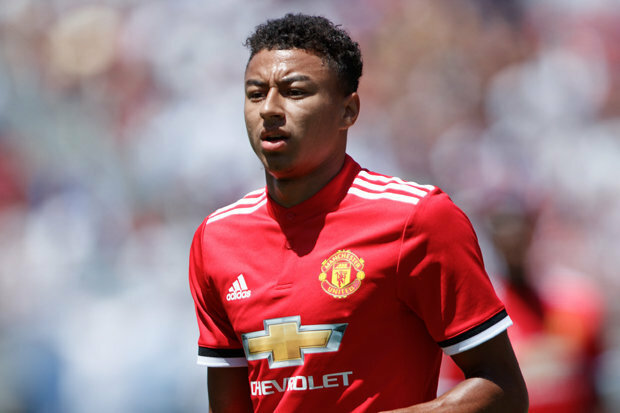 The midfielder has been carrying the issue since pre-season but the injury flared-up against Derby and the Evening Standard claim United’s medical team are hoping Lingard only needs rest to fully recover from the problem. The 25-year-old has been ruled out of England’s Nations League double-header with Croatia and Spain so United are praying that Lingard will use the two-week break to overcome his groin injury and be available for the trip to Chelsea after the international beak. Manchester United are also assessing the fitness of Matic after the midfielder was forced to withdraw from the Serbia squad this week after picking up an ankle injury. Matic will miss the games with Montenegro and Lithuania and is already back at Carrington receiving treatment with United hoping the midfielder will also recover in time to face his former club next Saturday. Shaw is the third United player being assessed ahead of the Chelsea game after the left-back withdrew from the England squad due to a knock that he picked-up during the dramatic 3-2 victory over Newcastle. The former Southampton defender reported for duty with England but was sent back to Manchester on Monday after being checked over by the medical staff at St George’s Park. The Evening Standard claim the injury is only thought to be a minor one but Shaw is still considered a doubt for next weekend’s trip to Stamford Bridge so United will be hoping he makes a swift recovery over the coming days. Jose Mourinho’s side face a crucial run of fixtures after the international break that includes games against Chelsea, Juventus [twice], Everton, Bournemouth and Manchester City so United will be praying Lingard, Matic and Shaw are available again soon.